At Atlantic Shopping, we have years’ worth of experience in the furniture industry. Our team of experts work hard to bring you the best in home and commercial furnishings, and, over the years, we’ve learnt a lot about stools, tables, chairs and beds. We’ve created this useful furniture glossary, explaining all the terms you’ll find on our site, from ABS plastic to 360-degree swivel. If you’ve got any more questions, just give us a call. We're here seven days a week to help you out. A light, hardwearing material with a high-gloss sheen, ABS is a plastic resin that is highly malleable, which allows it to be moulded into a range of ergonomic shapes. It’s also receptive to colour, and is often used in the construction of our funky stools and chairs. Although this translucent material can be similar in appearance to glass, its strong and impact resistant nature makes it perfect for use in high-traffic areas. Often used to form the seat in contemporary designs, it is perfect for compact rooms as it occupies minimal visual space. Stools and chairs with armrests support the entire body, producing an armchair-like effect. Although these models tend to be the most comfortable, it’s worth bearing in mind that they can be wider than other designs. Backless bar stools are those without a prominent backrest, although some do have a slightly raised lip at the rear. Popular for their compact nature, they can be easily stowed under the bar or counter area when not in use. All of our dining chairs are equipped with a backrest, enabling you to dine in comfort. However, only some of our bar stools feature a backrest. 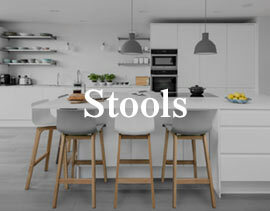 For more information on this feature, take a look at our information on Supportive & Ergonomic Bar Stools. A scroll backrest can often be found on our more classic designs. It is a traditional design feature in which the top of the backrest appears as though it has been rolled over to form a scroll design. Designed for use with bar stools, these models stand at 90cm, which is the same height as the average kitchen work surface. Available in many designs with a range of different tops, they generally have larger and heavier bases for increased stability. Our bases can be split into two categories: round and square bases. Some models have especially heavy bases for increased stability, especially when intended for commercial use. All of our bases have protective features; see ‘Protective Base & Plugs’ on the product's listing page for more details. Crafted through a process of steaming, shaping, and baking, bentwood can be fashioned to create various curving dining chair and bar stool designs. 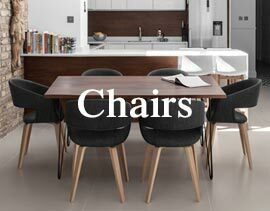 You can find out more by taking a look at our articles on bentwood bar stools and bentwood dining chairs. A popular frame finish, brushed steel is created by hand-brushing stainless steel, a much more laborious process than chrome plating. Offering a distinctive, contemporary look, brushed designs are often chosen to match brushed kitchen appliances. Notably, Atlantic Shopping is one of the few European retailers to produce dining chairs with this finish. Chrome stools, chairs and tables are formed of a steel frame, which is electroplated with a chromium alloy, giving it a hardwearing mirror finish that is resistant to scratches. Naturally resilient, it requires very little maintenance besides the occasional dusting. Featuring in both modern and traditional designs, chrome’s polished exterior allows it to blend in well to its surroundings, making it the perfect choice for any location. All of our office chairs with wheels feature nylon castors. Selected for their durability and ability to support a variety of weights, they are suitable for most floor types thanks to their protective casing. Plus, they are capable of rotating 360-degrees, making movement on your office chair even easier. Designed to honour the work of legendary furniture designers Charles and Ray Eames, Eames-style chairs replicate the iconic leg design. We supply replica DSW and DSR chairs. DSW chairs feature wooden legs, and DSR chairs have more contemporary chrome frames. We also produce Eames-style office chairs, designed to honour the original Eames office chair. Please note, however, that our products are not manufactured or approved by, or affiliated with Charles or Ray Eames, Herman Miller, Vitra or any of its distributors. Fabric is often used to cover the seats of both dining chairs and bar stools. Crafted to a high standard, these models offer a more traditional, demure look. Plus, fabric is renowned for being one of the most comfortable upholstery materials available. Unlike leather, the woven composition of fabric seats allows them to sport intricate patterns for a unique look. Fixed height stools, chairs and tables do not possess a gas lift, and so cannot be raised or lowered. Fixed height dining chairs include traditional four-legged models, cantilever frames, and single-column frames, some of which include a 360-degree swivel feature. Our range of fixed height bar stools includes four-legged stools, as well as one-column designs and ottoman-style models. Available at various heights, they sit at low stool height, kitchen bar height or commercial bar height. Make sure that you take a look at our Bar Stool Buying Guide to find the right height of stool for your needs. Our fixed height bar tables stand at either bar table or poseur table height. Our Bar Table Buying Guide explains the various heights available. All of our bar stools and dining chairs are designed to be flame retardant. This means that they’re designed with fire safety in mind, and are unlikely to respond to sources of ignition. You can find out more about our fire retardant bar stools here. All of our padded seats are filled with high-density foam filling. Firm and supportive, it creates a more comfortable sitting experience by stopping your body from hitting the frame of the seat. Our foam fillings are shaped to provide optimum support, allowing you to enjoy your chair or stool for hours at a time. Most of our bar stools feature a footrest. Different bar stools feature different Footrest Designs, enhancing their overall look. Often over-looked, this ergonomic feature can actually help to promote good posture when sitting on your stool. You can find out more about our Supportive and Ergonomic Bar Stool features here. A gas lift, or hydraulic, mechanism, is a cylinder that houses compressed air, allowing you to adjust the height of your seat. To raise the seat, simply get off of the stool and press the lever. This opens the valve, allowing air in and causing the seat to rise. If the lever is pressed when someone is sat on the seat, air will escape through the valve and the seat will lower. You can read more about Gas Lift Mechanisms here. Also known as tempered glass, all of our glass bar tables are crafted from toughened safety glass, which has been chemically or heat-treated to make it tougher and more resilient to impact. Not only safer than normal glass, it is designed to shatter into small pieces rather than long, sharp shards of glass. We only use 10mm or 12mm thick glass in our bar tables for added resilience. Clear glass is completely transparent. Often, the edge will have a green or blue tint, depending on the type and thickness of glass used, however all of our glass is toughened safety glass. A great advantage of clear glass is that you can see directly through it, meaning that your table will take up less visual space. A popular material for table tops, smoked glass has materials added to it, darkening the glass and reducing the amount of light that can pass through it. Although still translucent, smoked glass has a hint of grey throughout. This subtle tint is a great choice for a slightly different look that will still blend into your environment. Like smoked glass, black glass has materials added to turn it completely black and opaque. Although black glass feels and behaves like glass, it is more reflective and less translucent than traditional glass. This allows you to reap all the benefits of glass, including an easy-to-clean surface, with a unique, totally opaque black gloss finish. Our range of granite tables feature natural granite stone table tops. Available in a multitude of stunning colours, the edges can be milled to produce both square and round tops. Known for its hardwearing properties, granite has an elegant lustre, offering a feeling of quality and style. An increasingly popular trend, industrial-style interior design combines copper, exposed brickwork, distressed metal and wood for a factory-style look. Originating in downtown New York in the 1960s, this trend remains popular today, and with our great range of Industrial Bar Stools, it can be easily recreated in your own home. Many of our deluxe dining chairs and bar stools are upholstered using real leather. A natural material, it is made from authentic cowhide, offering an organic grain, texture and smell that many enjoy. Favoured for its hardwearing properties, it plays a key role in producing elaborate, comfortable upholstery. Leather is available in various grades, from the tough to the soft, although the leather used in our products is especially selected for its soft texture. Faux leather is a synthetically formed, cost-effective alternative to real leather, designed to offer the same look and feel as real leather. 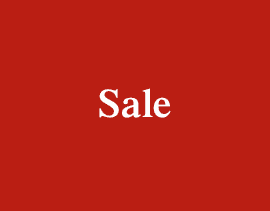 Unlike real leather, it is available in most colours as it is dyed, giving you a much larger choice than real leather. Plus, it is highly durable, resilient to staining, and can be easily cleaned, even with detergents that would ruin real leather. A cost-effective alternative to genuine real leather, bonded leather is formed by combining real leather fibres, producing a look and texture similar to that of genuine leather. Not only cheaper to produce than leather, bonded leather conforms nicely to curved surfaces, and is a popular material for intricately shaped furniture as well as smaller items such as diaries and phone cases. Hardwearing and economic, bonded leather is a great alternative to the real thing. Many of our more traditional stools, dining chairs and tables are supported by four-legged frames. These fixed frames offer unparalleled stability, and feature in both traditional and more modern designs, as well as being available in both wood and metal finishes. All of our products with legs feature protective pads, designed to minimise damage to your floors. Featuring in both our dining and bar tables, marble offers a sense of luxury and refinement. A naturally occurring stone, it is similar to granite but softer in nature, visually exhibiting more coloured veins. Available in a range of colours, marble can be either square or rounded. A porous fabric that is particularly popular in office chair design. The holes in mesh fabric allow the air to circulate, keeping you cool for long periods of time. Plus, it can be easily formed to encompass the body, offering great support. Its perforated surface also makes it incredibly light, allowing you to move your chair with ease. Poseur tables are similar in design to bar tables, however they stand at a taller height of around 100-109cm. Designed to be stood around, they are often found in more commercial environments such as bars, clubs and exhibition spaces. A protective base can be found on round-based bar stools, tables and dining chairs. Generally consisting of a rubber ring on the underside of the base, it is designed to help to protect your floors from scratches. Models with square bases usually feature protective pads, with one on each corner. Our four-legged dining chairs and bar stools are normally equipped with protective plugs; rubber or felt pads on the end of the legs, included to help to minimise the risk of marking to your floors. We also have some fixed height designs that include adjustable feet to accommodate for uneven floor surfaces. A decorative feature added to the rear of the backrest, a ring knocker is a stylish characteristic of our luxurious upmarket products. A chrome ring is the most popular design, but rectangular shapes are also used and more elaborate designs may have a lion ring knocker. Popular in both bar stool and dining chair design, satin finish frames consist of steel frames that have been sprayed with powdered paint and then baked, causing the paint to solidify and harden to give a uniform matt satin finish. Frames with a satin finish absorb light, lending them a more muted look than chrome. Plus, they benefit from the durability of a steel frame, making them resilient too. We also have a selection of wooden designs with a satin painted finish, this is often in black, white, or grey. Plus, our industrial designs may also feature an antiqued satin finish for the popular vintage look. Also known as ‘Scandi Style’, this design movement originated in mid-century Scandinavia, and is still a huge influence on furniture design today. Focussing on organic textures, light colours and minimalist design, Scandinavian furniture makes the most of natural light with clever design choices. You can find this Nordic style across our whole range; why not take a look at our 3 Easy Steps to Scandinavian Style in your Home for more inspiration. A screw thread mechanism can be found on many of our industrial bar stools. It allows for the seat height to be adjusted by rotating the seat and can often be secured in place by a locking wheel or handle beneath the seat. A unique design feature, sprung and belted seats are used to increase comfort and can be found on many of our fixed height wooden bar stools and dining chairs. A framework of elasticated belts and springs is incorporated beneath the seat padding to provide excellent support. The arrangement of the springs and belts may differ depending on the design, with some only using belts, but they all offer a luxurious seating experience. Read more about the comfort of sprung and belted seats in our article on Supportive Dining Chairs. Many of our upmarket designs feature metal studs around the edge of the seat. They add opulent detail to both chairs and stools and you can find out more by reading our blog post about The Use Of Studs In Furniture. Artificially crafted, faux suede is an inexpensive alternative to real suede. It is designed to look and feel like the real thing, and can be made in a range of different colours. Very versatile and extremely durable, faux suede adds an original appearance to your interior. 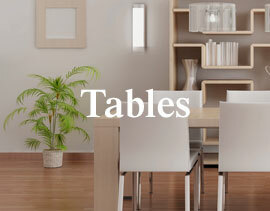 Typically, bar tables take one of three shapes: rectangular, round or square. Most popular are circular tables, available in a range of materials, from glass to granite. Their stability also allows for a range of sizes, from 60cm through to 90cm. Conversely, tables with a square or rectangular top can be positioned next to a wall to form a mini bar area. Square tables allow pairs of stools to be placed around each side, whilst rectangular models generally benefit from two stools at each long end. Velvet is often used to upholster our chairs and stools. Offering lavish comfort and a sophisticated look, we use three types in our designs - crushed velvet, soft microfiber, and velour. So you can choose striking shimmering style or a more muted and subtle look. Find out more in our article on How To Use Velvet In The Home. A natural material derived from trees, wood is a staple in bar stool, dining chair and table design. Generally, the wood that we use can be divided into two types: organic wood and engineered wood. While the former is a natural by-product of trees, the latter is formed from recycled wood. Both are equally durable, and boast exceptionally intricate grain detail. We produce both solid wood models, as well as those with a wooden veneer bonded to a wooden ply sandwich. Wood veneer is a layer of real wood bonded to a body of engineered wood, forming a stronger structure. Wood can be used to produce legs, seats and table tops, and can be accompanied by a range of materials. Wooden models are available in a range of finishes, from light oak to dark wood and wenge, or they can be painted for a distinctive look. Featured on many of our dining chairs and bar stools, this feature allows the seat to rotate freely from the base, enabling you to turn to either side. This makes access to the seat at a bar table, dining table or bar counter even easier.